The Vince Dooley Scholarship Fund was established in 1988 to honor Coach Vince Dooley’s 25th year at the University of Georgia. Every year a $3,000 scholarship is awarded to an incoming freshman from Duval, Nassau, St. Johns, Clay or Baker counties based on academic and economic need. This scholarship is designed to help offset out-of-state tuition which helps Florida students attend the University of Georgia. The scholarship is renewable, provided the student maintains accepted academic criteria. Currently we provide support to four students with an annual commitment of $12,000. The Georgia Bulldog Club of Jacksonville has awarded over $265,000 to 27 students from North Florida and South Georgia since 1989. 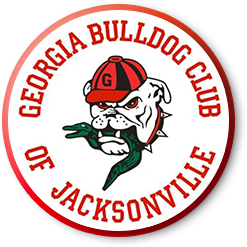 Although the Georgia Bulldog Club of Jacksonville is primarily social in nature, our commitment to assist area students in obtaining a quality education from the University of Georgia may be our most significant achievement. With the establishment of the Jacksonville Bulldog Alumni Scholarships, Inc., a 501(c)3 charitable organization, we are working to endow this scholarship through fund raising events like the GA/FL Silent Auction so it will continue to be given for many years to come. 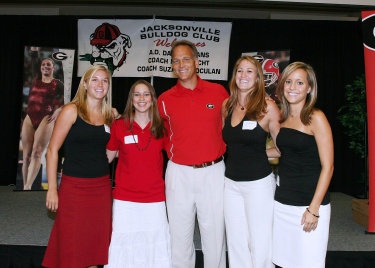 Through the dedication and support of our members and our community, the Georgia Bulldog Club of Jacksonville and the Jacksonville Bulldog Alumni Scholarships, Inc. will continue to set the standard for other clubs throughout the United States for supporting the University of Georgia. Scholarship applications must be POSTMARKED by April 19th. To print or download an application Click here. To obtain information on how to contribute to our scholarship fund please contact our Scholarship Committee Chairman through our contact form.